Dyslexia is not merely a reading or writing difficulty. All language skills are involved to varying degrees: listening, speaking, oral reading, silent reading comprehension, vocabulary, spelling, and expository writing. During the daily tutoring session, skills are taught in isolation and are tailored to meet the personal needs of each camper. Every camper is paired up with an Orton-Gillingham tutor. Students meet with their tutor for Language Training every day for a one-on-one, individualized one-hour session. Students who haven’t progressed under ordinary classroom methods must be taught, not by repetition of techniques that have failed, but by new ones, carefully planned to capitalize on innate strengths and to overcome weaknesses. Teaching techniques used at Camp Dunnabeck are based on the Orton-Gillingham approach—the soundest and most thorough of those in current use. 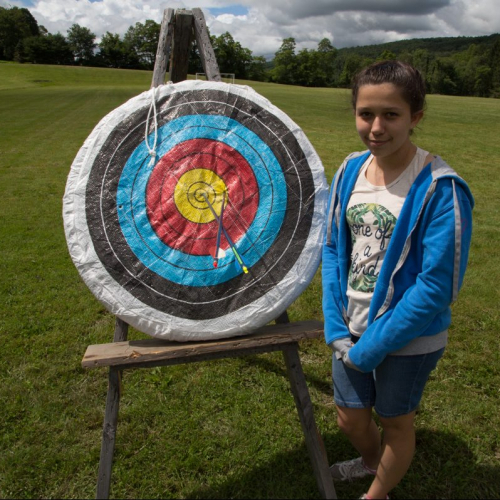 All tutors at Camp Dunnabeck are trained in an accredited, Associate-Level course that exceeds the guidelines of The Academy of Orton-Gillingham Practitioners & Educators (AOGPE). Following the course, tutors participate in a practicum that includes observations and ongoing training by Fellows of the Academy. Both the camp and the training program are accredited by The Academy. 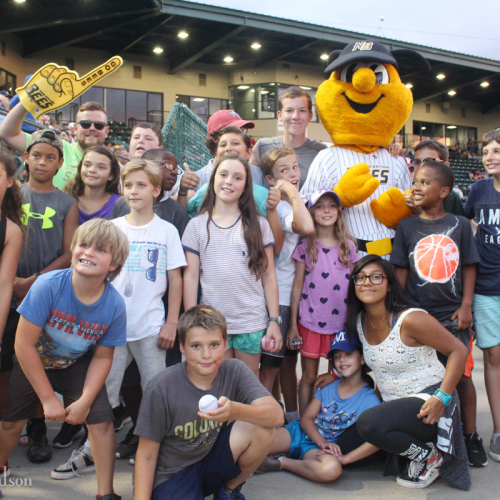 Standardized diagnostic tests are given at the beginning of the season in order to enable us to plan the student’s program, and at the end of the summer, in order to assess progress. From their tutor, the student learns to set high standards, work confidently, and take pride in their own achievements. At Camp Dunnabeck, students are trained to study independently and to make the best possible use of group study periods. The length of the study periods varies according to the age, needs, and maturity of the individual. From the tutor, the individual learns to set high standards, work confidently, and take pride in achievement. 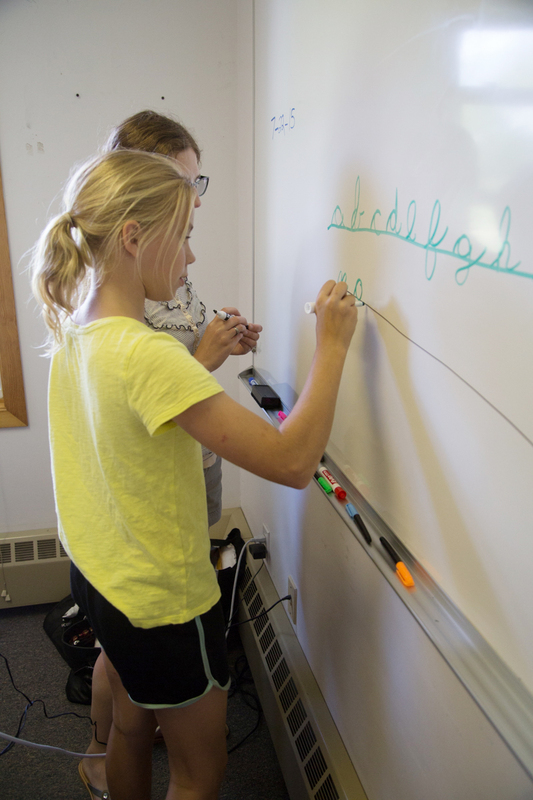 Cursive Writing – For dyslexic students, cursive handwriting in general is easier than print. So at Camp Dunnabeck, we encourage students to learn this skill. Diana Hanbury King, the co-founder of Kildonan, is the author of “Writing Skills” which is considered the best cursive writing teaching method. Right handed or left handed workbooks are utilized. Touch Typing Training – Typing and word processing form an integral part of the program. With communication today being almost entirely computerized, gaining correct keyboarding skills is a necessity. The basics of typing, to improve speed and accuracy, are components of study hall skill building. Creative Writing Workshop – Working with an Orton-Gillingham tutor for 30 minutes of study hall time, campers compose substantive written pieces in narrative or descriptive style. Our campers writing work is collected into a Creative Journal at the end of camp. Read the 2016 Shenachie (meaning—the storyteller), to see the amazing work our campers produce during their summer at Camp Dunnabeck. College Essay Workshop – Eleventh graders have the difficult task of mastering the college essay. At camp, they can receive experienced support on how to write an effective essay—and get a jump start on the college application process for the fall. 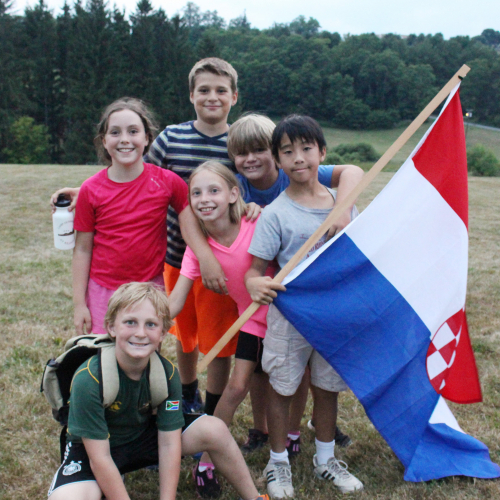 Our Academic Add-ons provide campers with additional supports in the areas they need it most. Instruction in these areas are available in daily hour or half-hour-long sessions. Refer to the fee schedule on the Admissions page for these programs. Math Tutoring – Daily, individual math tutoring is available for campers with a demonstrated need for remedial math support. Assistive Technology Training – The rapid development of technology has proven to be a great asset to dyslexic students. Current computer operating systems and software help them read, write, organize ideas, and synthesize information in ways that may have been impossible for them in the past. Text-to-speech technology provides reading assistance, and programs such as Inspiration and Co-Writer help with the writing process. Both the Windows and Mac operating systems have built-in tools to assist users, and the iPad and its associated apps have expanded the array of available assistive software. At Dunnabeck, Tech students choose to work on a Windows or Mac computer, based on past experience and preference. Through the camp season, they learn the functions of various AT software and how to apply programs to their subject matter work.